SADI S.p.A. is part of the Fiat Chrysler Automobiles (FCA). The Group designs, engineers, manufactures and sells vehicles and related parts and services, components and production systems worldwide through 162 manufacturing facilities, 87 R&D centers, and dealers and distributors in more than 150 countries. Its stable of brands include Abarth, Alfa Romeo, Chrysler, Dodge, Fiat, Fiat Professional, Jeep, Lancia, Ram, Maserati and Mopar, the parts and service brand. The Group’s businesses also include Comau (production systems), Magneti Marelli (components) and Teksid (iron and castings). In addition, retail and dealer financing, leasing and rental services related to and in support of the Group’s car business are provided either through subsidiaries or financial partners (such as captive companies, affiliates, joint ventures with leading banks and/or financial institutions, specialized providers). A lot more about FCA Group can be explored on its website www.fcagroup.com. Within the FCA Group SADI covers the customs operations for FCA in specific countries which are Brazil and Argentina in South America - Italy, Poland, Serbia, Belgium, Great Britain as well as France are covered in the EMEA region. In all these countries SADI executes the customs activities for FCA as a kind of intercompany service provider. One of the most challenging problems with the highest priority for SADI is tied to the fact that it is using different customs software solutions in each of the above-mentioned countries. This represents a real blocker when it comes to standardization and automation of customs processes among the various country organizations. Standardization and automation of SADI’s customs processes would open considerable saving potentials and positively contribute to FCA’s Group compliance level at all. The biggest need to implement a new customs software solution was seen in Italy. It was not only because of the huge import and export volumes that SADI has to handle in Italy, but also the dissatisfaction and problems with the provider in place were the most serious ones there. This was not the kind of automatism and standardized process SADI expected to make its customs processes more effective. 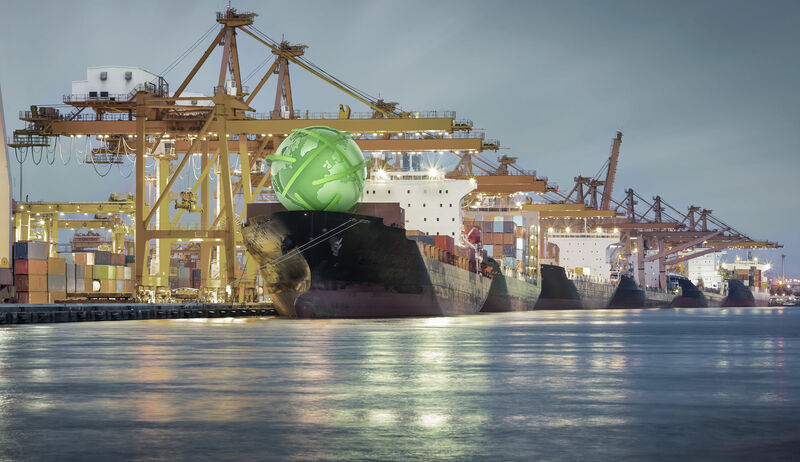 To find out which software providers would be able to fulfil SADI’s requirements, SADI launched a benchmarking process among those providers that could possibly deliver a customs software solution to standardize and automate its customs processes, worldwide. The import, export and IPR processes are with direct communication to the Italian customs administration’s system named AIDA and MIC CCS is regularly updated with up-to-date tariff content. Phase 1 of SADI’s HERMES project started at the beginning of 2015. At this very early stage of the project, the project environment showed its bad face and it seemed to become a tough one, especially organizational issues made it hard to meet the timelines. Nevertheless, SADI restructured with great efforts its whole project team contributing a lot to an improved project ‘climate’, a good cooperation after a bumpy start and finally to the success of this project. Besides this organizational challenge, both had to overcome cultural differences like varying ways of working as well as not having the same mother tongue. This caused sometimes discussions which were open, true and direct but also in a cordial manner and with respect for each other. Based on this both could improve and contribute to the success of this project as one team. However, despite the big efforts to overcome the various challenges the go-live had to be postponed several times with unexpected positive side effects. The time was not lost but used efficiently for extensive software testing and to change the go-live strategy from a big bang approach to a step by step go-live both helping to reduce possible pitfalls during go-live to a minimum. With all this preparation and the right strategy in place, the migration from test to production environment took the project team only 3 days instead of a scheduled whole week – this was a rather smooth one. Then, step by step as planned, the various modules went live, MIC-CUST® Import for Italy on the 5th of January 2016, MIC-CUST® Export for Italy 10 days later and finally on the 9th of April MIC-CUST® IPR for Italy. From the management’s perspective, it was a big success as there was high risk of failure. That the production was not stopped during the whole migration and go-live phase, especially not in the Melfi plant which has a very high production volume (Renegade and FIAT 500X are produced there), was great, especially as the new customs processes are embedded in very sensitive and vital logistics processes. It’s not that much time that passed by since the go-live of MIC’s customs solution for Italy at FCA. That’s why it is even more surprising that already now some of the potential benefits have become reality. The rollout in Italy was a full success and until the end of 2016 SADI declared already some hundred thousand of customs declarations via MIC to the Italian customs authorities for FCA. In the meanwhile also the PCC (Processing under Customs Control) regime for Italy was successfully implemented and further new projects have been initiated e.g. the implementation of MIC’s customs software in Serbia for SADI’s Serbian customs operations to cover various customs regimes like import, export, bonded warehouse as well as inward processing relief and finetuning activities to continuously increase the automation level of export processes. We wish continued success to the whole MIC & SADI team for all ongoing and future projects!